Quickly and easily back up your valuable data to external hard drives, to optical media - and now even to your cloud. It’s the secure PC backup you need, for the irreplaceable files you love. 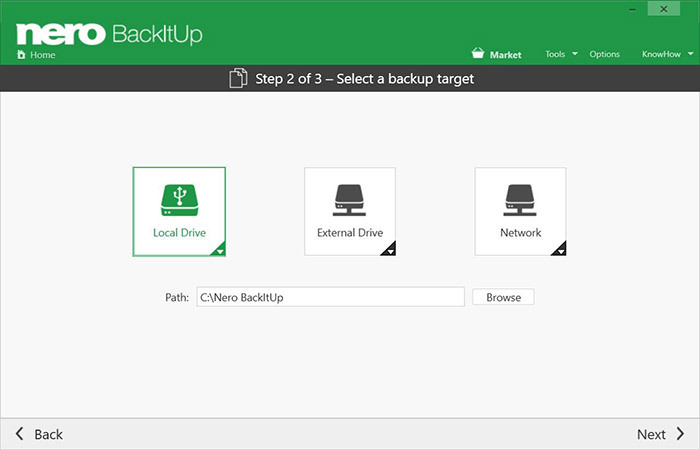 Get started now with Nero BackItUp to protect your files and memories on your PC or laptop. Have your filed automatically backed up on up to 3 locations, such as USB hard disks. 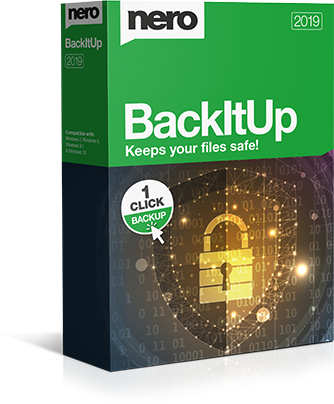 All you need to do is click one button to set up your backup. Relax safe in the knowledge that your files are safe: You can back up your files daily, weekly, monthly – or whenever you want! Just set a time and date. 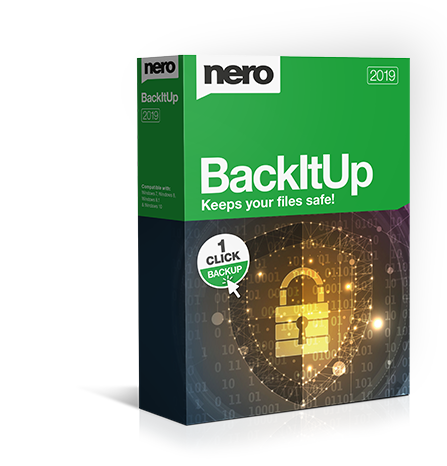 You can even choose to set up a continuous file backup, and Nero BackItUp will constantly secure new data or files whenever you update them. Back your files up locally to another hard disk or external USB drive, burn them, or store them on network attached storage (NAS) – the choice is yours! Either way, our product will help you double-protect your files reliably. 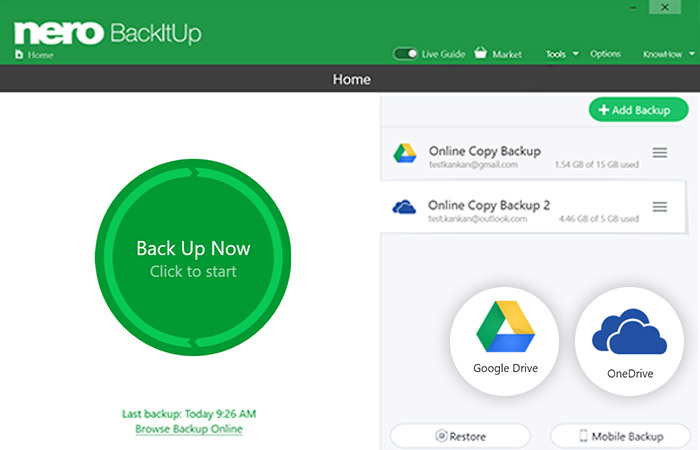 You can now also carry out your backups with OneDrive and Google Drive cloud storage. 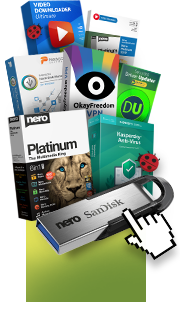 Data can of course also be restored online in this way, meaning backup and restoring with Nero BackItUp can be done using any location you want. You can rest assured knowing that your files are safely stored thanks to hardware-accelerated AES 256-bit encryption. And with our clever compression algorithm, you can even save a bit of disk space when storing your files to a USB disk.